The practical integrated hose reel ensures easy, tidy storage. With the integrated accessory holder, accessories such as a suction pipe, universal nozzle and joint nozzle are always easy to access and stored away tidily. With a transparent level indicator for cleaning particularly stubborn dirt. Internal or external supply of detergent. Easy to fill. 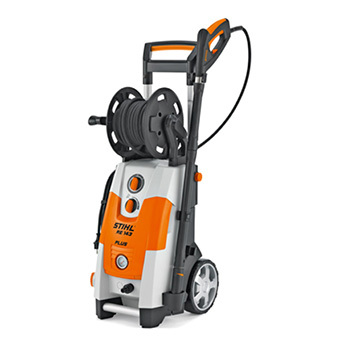 With its integrated chassis, the STIHL high pressure cleaner can be easily transported over long distances whilst also being compact and easy to store. TWith the metering system, detergent can be added to the spray jet from an internal or external tank.